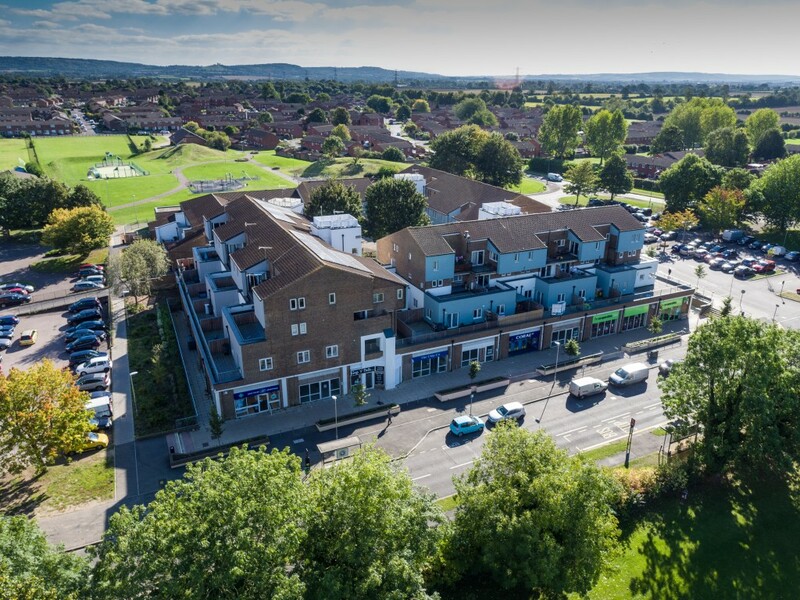 Brief: Regeneration of mixed use development comprising retail, residential and community facilities including the provision of 19 new homes on infill sites. Sustainability Initiatives: Insulated overcladding of all residences; Photovolatics to south facing roofs. Walton Court Centre is a mixed-use development in Aylesbury, Buckinghamshire. 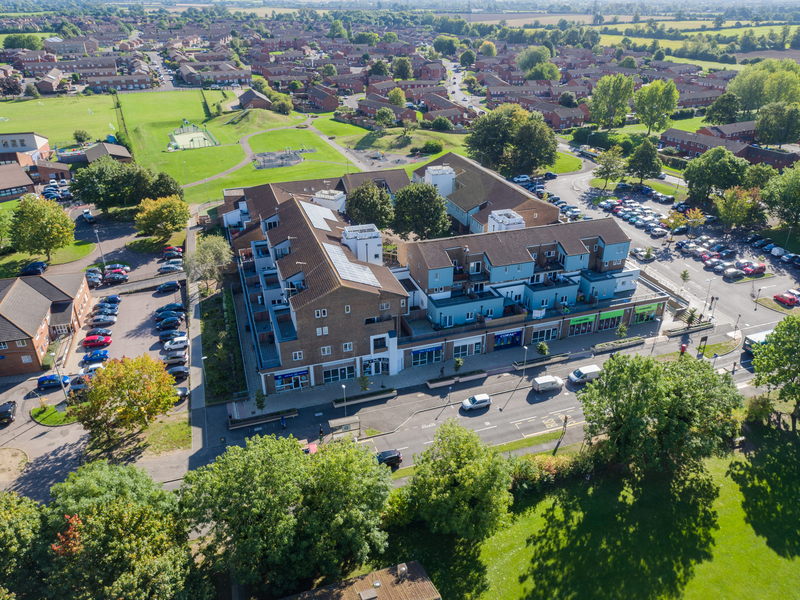 Built in the late 1970s it provides a mix of retail and community facilities topped by 58 residential homes in a low rise suburban setting. Unfortunately as originally constructed, the building was complicated, insecure, and prone to vandalism and anti-social behaviour. The layout of the Centre placed a public precinct in the middle of the site which acted as a magnet for anti-social behaviour and illegal activity. The retail units were hidden from passing trade behind a fortress-like wall, and community facilities were inaccessible and compromised. To determine the best way forward, we worked closely with the Trust and Centre residents through a series of consultation meetings, presentations and feedback sessions. The resulting designs relocate and remodel the retail units to face externally through use of under utilised store units on the lower ground floor. This creation of a more active street frontage for the Centre encourages its connection and interaction with wider community whilst enabling the enclosure of the courtyard as a private garden for residents. The Conversion of the relocated retail space into additional homes provides needed housing and further income for the estate. At the same time the homes were provided Decent Homes upgrades (to improve resident health & well being); much of the building was over-clad (to reduce heat losses); and solar PVs were installed to roofs (to reduce electricity bills for residential communal areas and service charges). This approach greatly improved the Centre’s appearance and energy efficiency, enabled a new, more viable management plan for the whole of Walton Court, and re-created the Centre as a vibrant and useful hub for the community.